T-34-85M bundles, x2 Crew XP, and more are now available. Next Monday is May 1st, which also happens to be Labor Day. To celebrate the upcoming holiday, Wargaming is hosting a series of special limited-time discounts, deals, and other bonuses that World of Tanks players can take advantage of for the next several days. First, the T-34-85M Russian medium tank has been added to the World of Tanks Premium Shop courtesy of a series of limited-time bundles detailed below. All three bundles are available now and will remain so until May 8th. From now until May 2nd, World of Tanks players can earn x2 Crew XP for each battle in which they place in the top 10 XP earners on their team. All crew re-training services and consumables have also had their prices cut in half. Furthermore, players can take advantage of temporary XP conversion rates that allow them to convert one point of XP into 35 Free XP and one Free XP into 10 Crew XP. 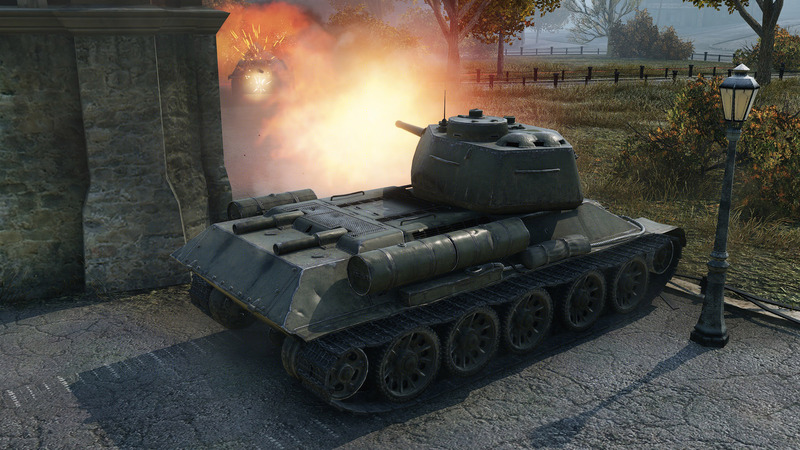 For more on the latest World of Tanks coverage, be sure to check out our recent guide which covers the best medium tanks for World of Tanks noobs.